The steps in this article describe how to set up your email account using Outlook 2016 or Outlook 2013 on your PC. You can add a variety of different email accounts to Outlook including Office 365, Gmail, Yahoo, and your work or school account. Using Outlook for Mac? See Set up email in Outlook 2016 for Mac or Set up email in Outlook for Mac 2011. NOTE: If you’re using Outlook 2010 with Office 365 for business, you need to set up your desktop before you can set up Outlook to access your account. See Set up Office 2010 desktop programs to work with Office 365 for business. 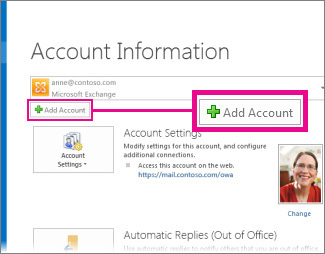 Open Outlook, and when the Auto Account Wizard opens, choose Next.NOTE: If the wizard didn’t open or if you want to add an additional email account, on the toolbar choose the File tab. On the Auto Account Setup page, enter your name, email address, and password, and then choose Next.NOTE: If you receive an error message after choosing Next, double check your email address and password. If both are correct, choose Manual setup or additional server types. For instructions on this option, see the next section. If setup didn’t complete, Outlook may ask you to try again using an unencrypted connection to the mail server. If that doesn’t work, you can choose Manual setup or additional server types. 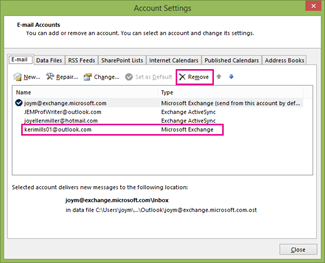 If you’re using Outlook 2016, you can’t use the manual setup type for Exchange accounts. Contact your administrator if the automatic account setup fails. They will tell you the name of the Exchange Server for your email and help you set up Outlook. If you upgrade to Outlook 2016 from an earlier version, and you receive errors about not being able to log on to or start Outlook, it’s because the Exchange Autodiscover Service isn’t configured or isn’t working correctly. For details about how to get around this issue, see Outlook cannot log on or Cannot start Microsoft Outlook error displays in Microsoft Outlook 2016. Your Name, Email Address, Account Type, Incoming mail server, Outgoing mail server, User Name, and Password.NOTES: If you have an Office 365 for business or an Exchange account, see POP and IMAP settings for Outlook Office 365 for business for your incoming and outgoing mail server information.For all other accounts, including those from your local Internet Service Provider (ISP), contact your administrator or your ISP’s help desk for this information. Choose Test Account Settings to verify the information you entered.NOTE: If the test fails, choose More Settings. 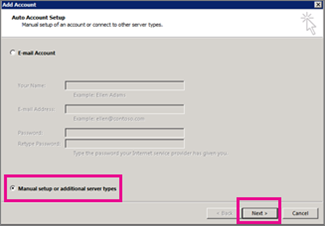 Your administrator might have you make additional changes, including entering specific ports for the incoming server (POP3 or IMAP) or outgoing server (SMTP). 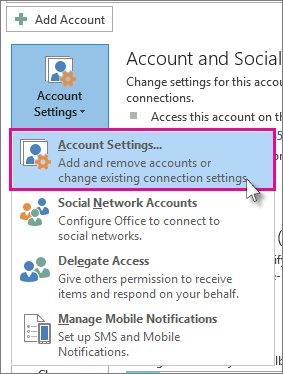 On the File tab, in the right pane, choose Account Settings > Account Settings. In the list of email accounts, select the one you want to delete, and then choose Remove. Choose Keycomm for IT support Brisbane. We also recommend migrating to Office 365, contact us for help with Office 365 manual setup!